Back in September 2015, as Sony Pictures got ready to launch their all-female Ghostbusters reboot, the studio set up a new company called Ghost Corps, lead by original Ghostbusters director Ivan Reitman. Since then, there have been a number of projects in-development at this company, such as an animated movie and a second reboot featuring an all-male cast, rumored to star Channing Tatum. With the release of new comic books and a VR game this week, Ivan Reitman spoke more about the future of the franchise, claiming that an animated movie is coming next. We first heard about this Ghostbusters animated movie in October 2015, just after news of Ghost Corps' formation first hit. That report revealed that Ivan Reitman would be producing the animated movie with his Montecito Picture Company partner Tom Pollack. The story is said to stick quite closely to the original Ghostbusters movie, following four scientists who develop technology for catching ghosts, which they must then use to save New York City when a paranormal threat emerges. During a new interview with io9 to discuss the comic book and VR game, Ivan Reitman confirmed that they are making the animated movie next, while also developing more live-action films. "We jumped into an animated film (after the last movie) and we are developing live-action films.I want to bring all these stories together as a universe that makes sense within itself. Part of my job right now is to do that." We reported last March that Fletcher Moules, who is best known for directing the popular Clash of Clans commercials, has come aboard to direct the Ghostbusters Animated Movie, although no voice cast members have been announced at this time. Ivan Reitman did tease that he hopes to have this animated movie in theaters either by the year 2019 or 2020, adding, "It depends on how fast we can get it all together." He wouldn't add any further details about the live-action films they were developing, although he did add that the Ghostbusters remake was rather disappointing, at least financially. After opening with a decent $45.6 million last summer, the Ghostbusters remake only earned $128.3 million domestically and another $100.7 million internationally for a worldwide total of $229.1 million, from a $144 million budget. Here's what the producer had to say about how the female Ghostbusters remake fared, and what he thought was wrong with it. "We certainly would've loved to have a larger hit. But considering the last film was almost 30 years ago, it really did extremely well. I think the film cost too much, frankly, and that's the real issue. I personally had other points of view in terms of where the film should go and it was kind of a continuous conversation with Paul Feig about that. But Paul was the filmmaker on this one and he's a very talented director. I wanted to give him enough room to do the film he thought it should be." Ivan Reitman also didn't address a report from August that claimed Ghostbusters 2 isn't happening at Sony, since the Ghostbusters remake was reportedly on track to lose a whopping $75 million. Coupled with the $144 million production budget was a rather sizable marketing budget, although a rep for Sony claimed that the loss calculation cited in that report was "way off." Still, a $229.1 million worldwide gross isn't exactly the results a studio is looking for when shelling out nearly $150 million for the production budget, and while the movie may or may not have lost money for the studio, it's certainly not the blockbuster gross they had hoped for. 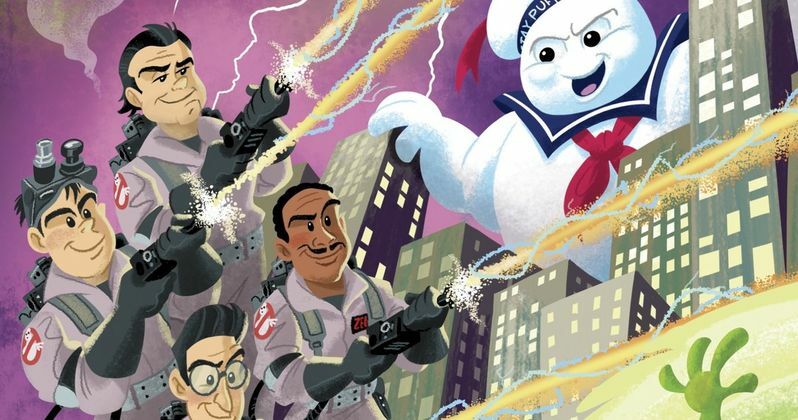 Hopefully we'll have more about Sony's Ghostbusters Animated Movie in the near future.